In a small bowl, combine tuna, minced onion, and black pepper. Divide mixture onto 4 halves of English Muffins. Arrange 3 slices jalapenos on each muffin half. 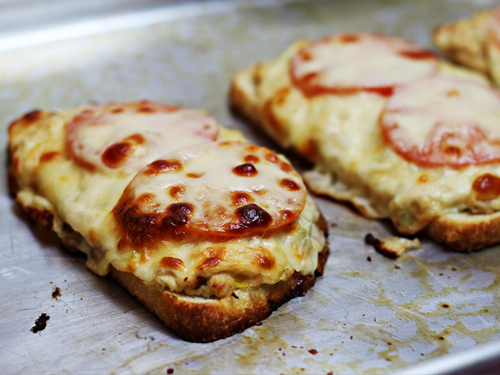 Top each with a slice of Cheddar cheese. Place on baking sheet. Bake in oven for 10 minutes, or until cheese begins to bubble. No comments for: "Simple Tuna Melts Recipe"